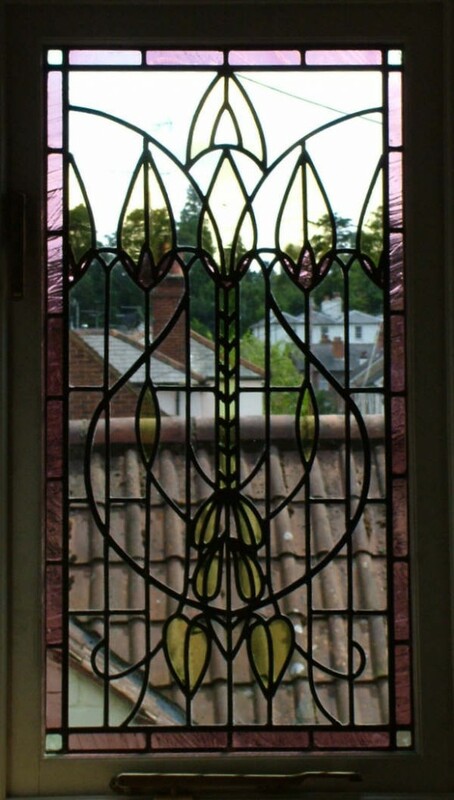 Two Decorative Leaded Windows, Westcott, Surrey. 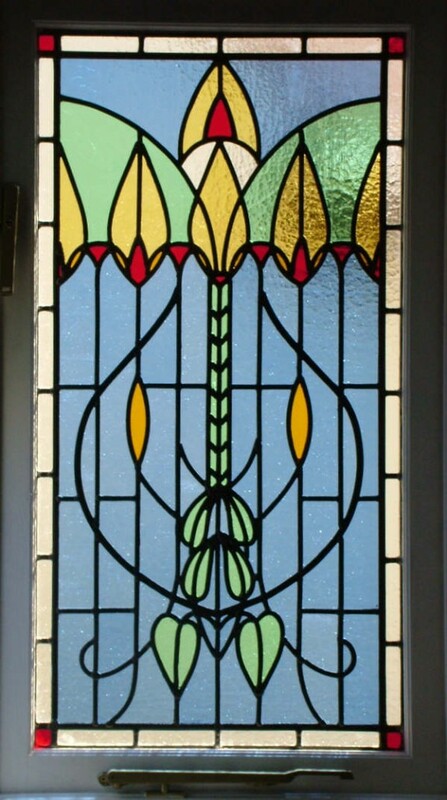 The customers brief was that they would like me to create a leaded window design based on art nouveau or art deco. I studied many drawings and books of Art Deco and took inspiration from the architectural details of that period. I then produced this totally original design. The glass colours were chosen to suit and compliment the décor within the house. One of the windows needed to be obscured and the other clear. They are above one another, one on the ground floor in the downstairs bathroom and the other directly above on the upstairs landing. They are very much in keeping with the style of building and provide a beautiful and thoughtful solution.